Why Dearka/Yzak? : Because I adore them. 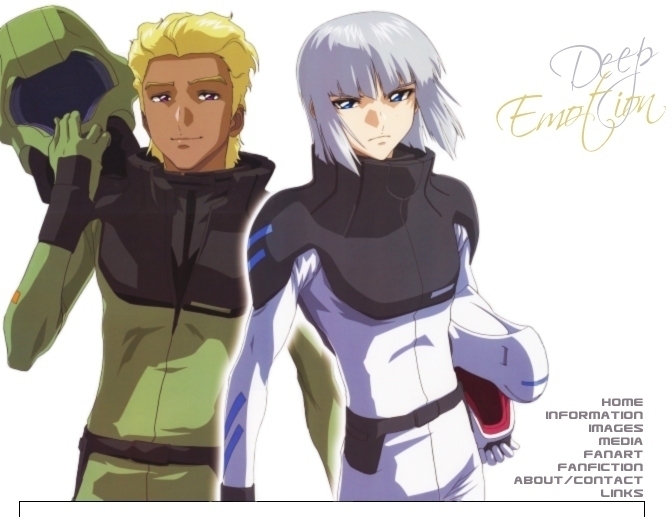 =P They are my OTP, and coming to like them so much was more random than anything, and well worth it. They've got dynamic, devotion, enough reasoning to like them, and heck, even the SEED Club comics show Yzak doing things like getting jealous, sabotaging things and even half-crossdressing for Dearka. XD That, and they need a shrine! And their fandom deserves a place to go for as many needs as I can provide, because they are awesome. 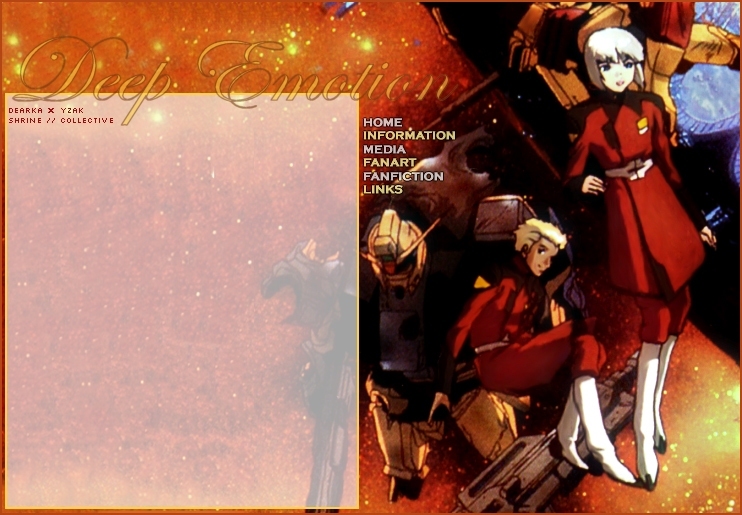 Current Layout: The site's current layout features a colored image from the Edge manga. I really like the artstyle this manga has, and I adore the image. 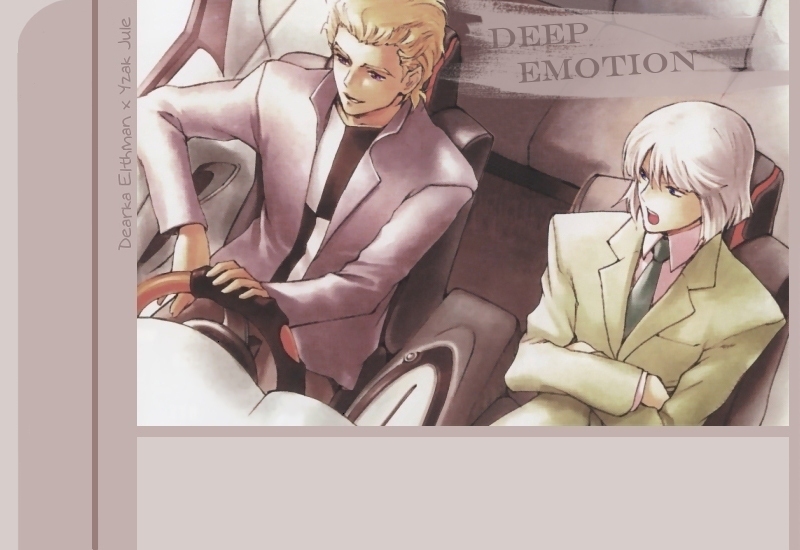 It's from episode 11 when Yzak, Dearka and Athrun go to visit Nicol's grave. 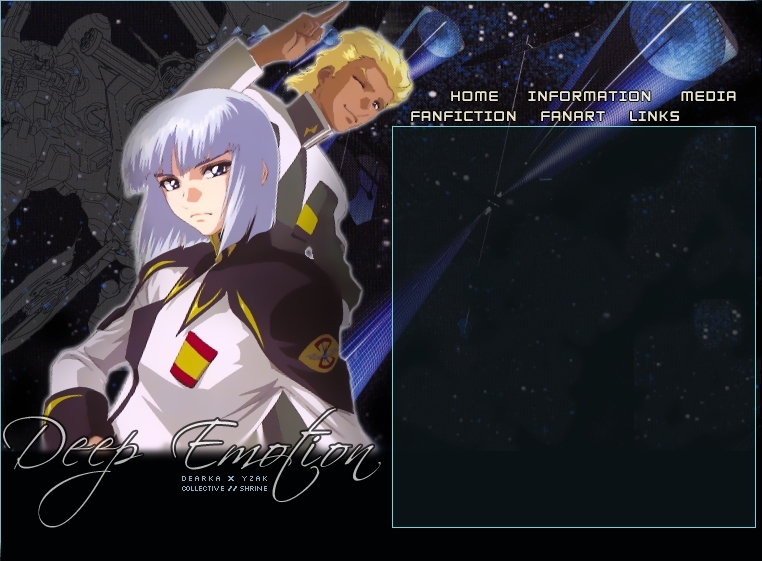 Upon giving the website a complete overhaul and update, I wanted a new layout for it, so went with it. This is my first time using .php, and I must say headers and footers are amazing. :P I wanted a pretty, not white backgrounded, easy to navigate and nice to look at site when I redid everything. Hopefully this is just that, or close! 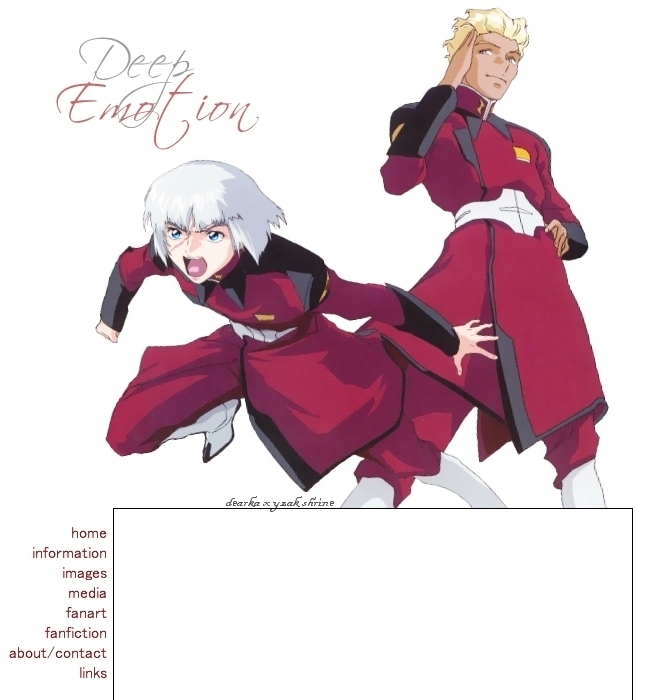 Past Layouts: Please do not steal or edit these, thank you.